Thanks to good friend Karen Pipke who volunteered to show Jayne for us while we were at the American National picked up her last win going Best of Winners to be new Champion and with that win completed Mom's ROMC. Thanks Karen we loved the phone call. Jayne is our exciting daughter of the ASSA- National Winners Dog - Dallas bred to our fantastic moving and conniving little girl Snoops. Jayne is the last of four from this litter to make her debut. 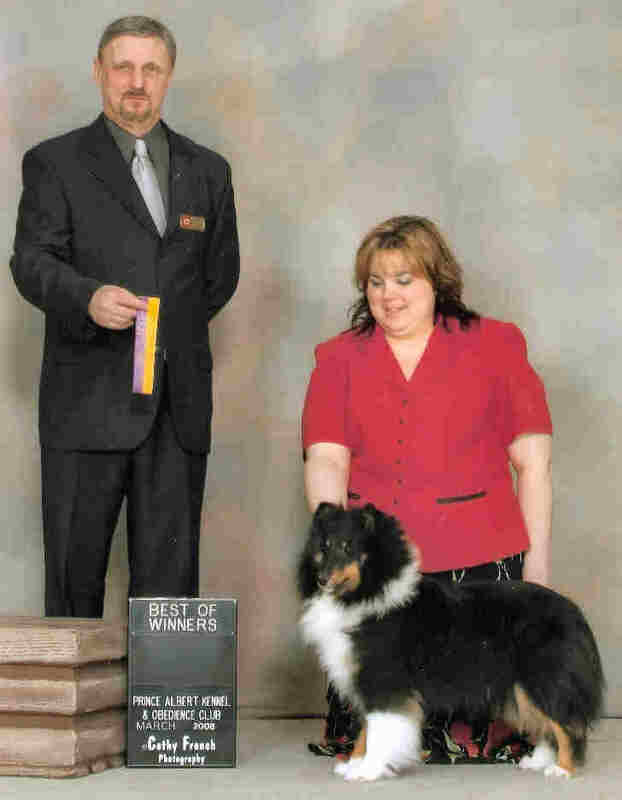 Jayne debuts at AKC February 2008 and wins her class and goes Best Puppy in Breed.